If you’ve ever tried do it yourself, you’ve likely discovered that mattress disposal is not an easy task. You can’t just throw your old mattress in the dumpster, or set it by the curb for your trash company to take with them, because they won’t. Perhaps that’s why so many old mattresses unfortunately become abandoned eye sores in alleyways. But it doesn’t have to be that way. The next time you’re ready to purchase that new mattress you deserve, call Dog Gone Junk to get rid of the old one. If your mattress is in decent condition, we will do our best to donate it to a family in need. We do everything in our power to donate salvageable items to people that can use them for mattress recycling in Springfield Missouri. If we can’t find a family that needs an item, then we will donate to one of our many partnered donation facilities. Whether it is donated to a family in need, a donation facility, or properly recycled or disposed of, it will no longer be a worry of yours. Dog Gone Junk will make the whole process very easy for you. Give us a call and we will come over and remove your mattress from your bedroom, basement, garage or wherever. We will do all the heavy lifting for you and can go up or down as many stairs as you may have. We can even remove your comforter and sheets for you if necessary. We will be in and out and you will no longer have to worry about how you are going to get rid of your old mattress. 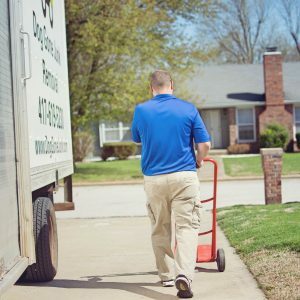 Call Dog Gone Junk today for a free estimate on your mattress removal and for any and all other unwanted, or no longer needed items.